Named to “America’s Top Physicians” by the C.R.C.A. My wife Peggy was right: you are a superb speaker. Thanks from all of us at the UT Science Forum for giving us an advanced perspective on the role of testosterone in men's health and the proper way to restore it. Your talk was a fine mixture of fascinating and valuable information and--through the cartoons you've collected--humor. And you drew an audience considerably larger than a typical UT Science Forum program. We are grateful. 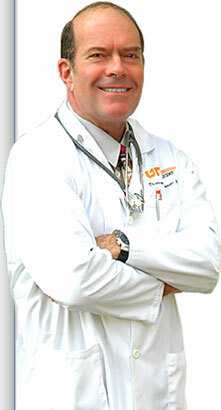 AMERICA'S TOP PHYSICIAN - AGAIN!